Associate Professor of Economics Dr. Marieta Velikova was recently named to the Tennessee World Affairs Council Board of Directors. 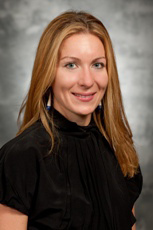 Previously a member of the Council’s President’s Advisory Board, Velikova was also named as the Board’s Vice President. The Board’s growth came as the organization completed a program year of organizing community and education outreach activities to increase awareness of international affairs. The Tennessee World Affairs Council, which celebrated its tenth-anniversary this year, is one of about 90 similar grassroots, educational groups in the country that work to improve global affairs awareness. For more information, click here.